Recently a customer requested an addition to his existing capacity report (maintained in SSRS using the OperationsManagerDW as primary datasource). In additional to general performance information he wanted to see the number of local logons that happened. Fyi, this report is meant to pinpoint unused servers and remove them to free up resources on a development cluster. So an overview of logons per server is a good measurement of activity on each system. I initially suggested to use Audit Collection Services to create a detailed overview of security events, but that was deemed too much of an overkill. So I began to check my laptop’s eventlog for common events that occurred during a local logon. I quickly found this event. It gets written each time a successful logon occurs, perfect! I only enabled it for the group where all development machines resided, so the load would be minimized. NOTE: You cannot apply a rule from one custom MP to a group of another custom MP. Either seal your group MP (not recommended as you can’t add members anymore), or store this rule together with your group-MP. 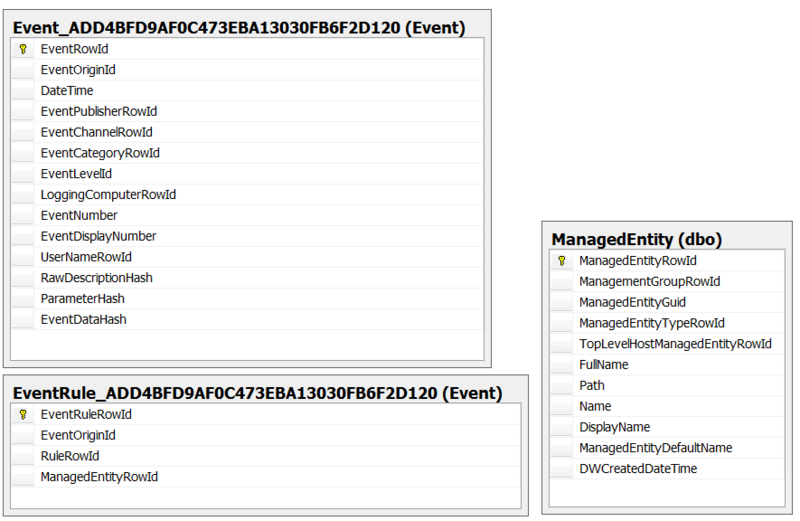 In the monitoring-pane, I created an event view that displayed all events generated from the rule. After some time several login-events where logged successfully! This was only step one. The next step would be to get the number of logons in a certain period and display it on the report. This would include all machines whether they had any logon-events or not because of the outer joins. A count function would aggregate all events into a numeric value representing the times a server was accessed. I then grouped this to the servernames and voila, logon-counts per server! I created a new dataset to prevent a overcomplex query. 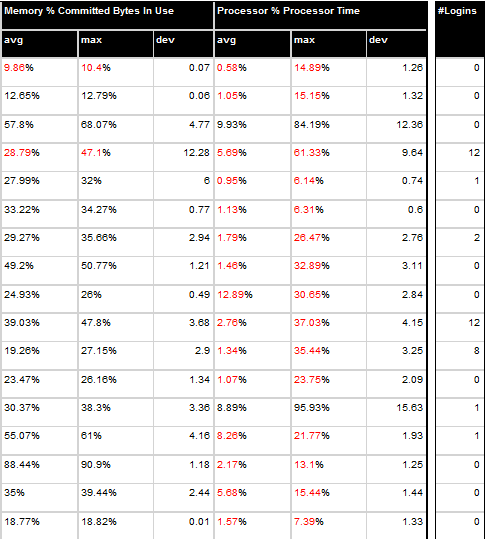 I made sure the returned data matched that of the other datasets. I checked for valid performance data so the returned amount of servers was identical to the performancedata-dataset. Otherwise unmonitored or servers would be listed as well. I also had to exclude clusters. This probably isn’t necessary if you scope the rule to a more specific target than Windows Computer (eg Windows Operating System). Eventually I got this output, very sleek! If you want to checkout this MP, here you go! This entry was posted in Uncategorized and tagged reporting services, SCOM. Bookmark the permalink.